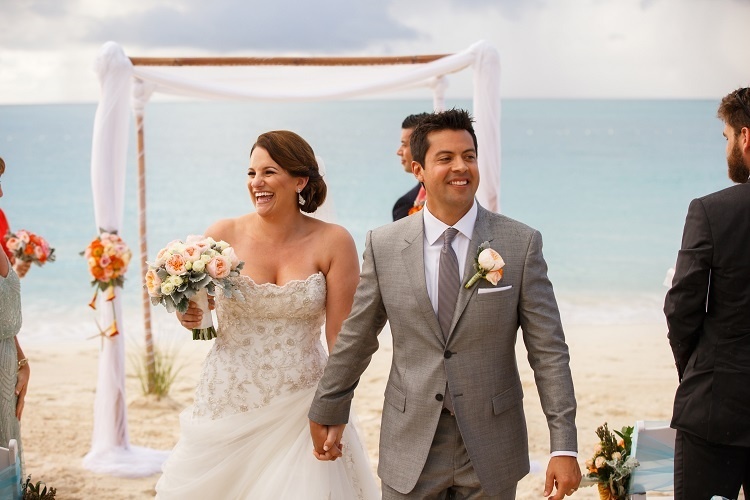 Real Wedding: Lorin & Jabin’s fun-filled day in Turks & Caicos! How did you meet? How did you get engaged? We met in 2003 at an Internship in Colorado Springs, Colorado. We both interned for the United States Olympic Committee in the Fall of 2003. 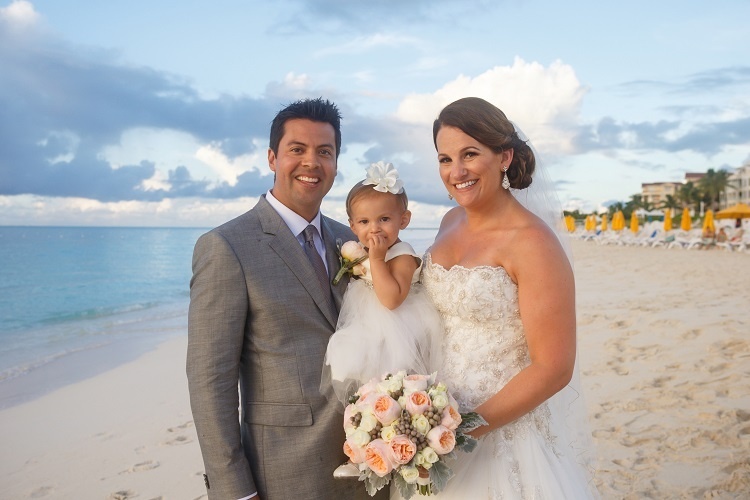 We were engaged on June 22, 2013 – just about 6 weeks after the birth of our daughter, Gia. The proposal was like something out of the Bachelor…it was amazing. He planned a little mini vacation at the Bacara Resort in Santa Barbara. I was clueless, just thought a nice little trip. My sister came with us to watch the baby for our first official date night since her birth. He had two white chairs and a small white table set up on the cliff overlooking the ocean, chocolate covered strawberries and champagne and played a few songs that remind him of me; We started dancing and I heard the Train song “Marry Me” and then he got down on one knee…it was like a dream! 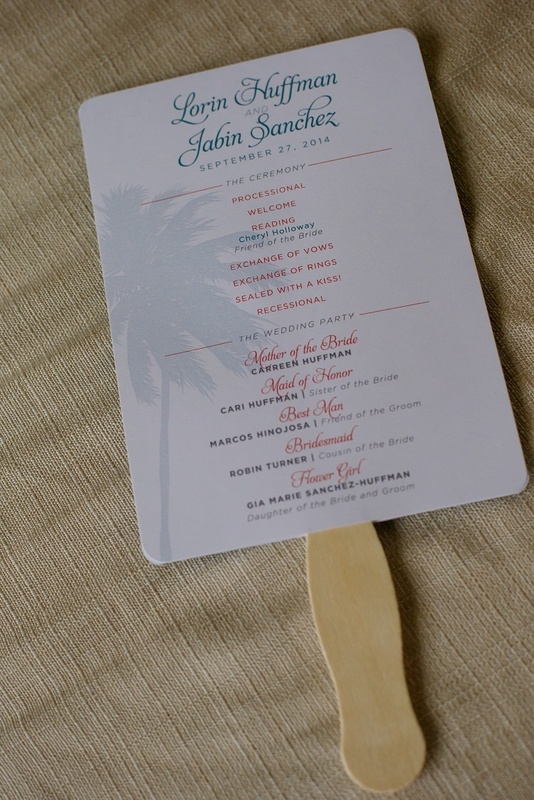 I love to travel and always wanted a destination wedding, Jabin says he did too. Never really thought I would be able to pull it off, so I was so excited that we did! 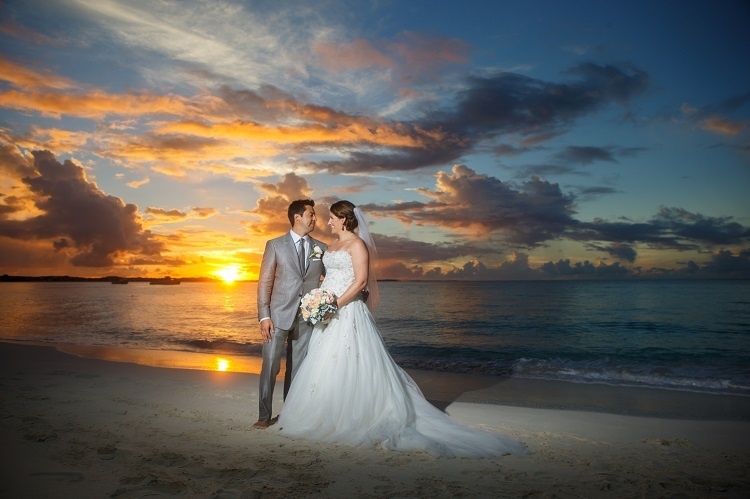 The destination we choose because of the beautiful Grace Bay Beach – we had a list of top three places and we both agreed on Turks & Caicos. 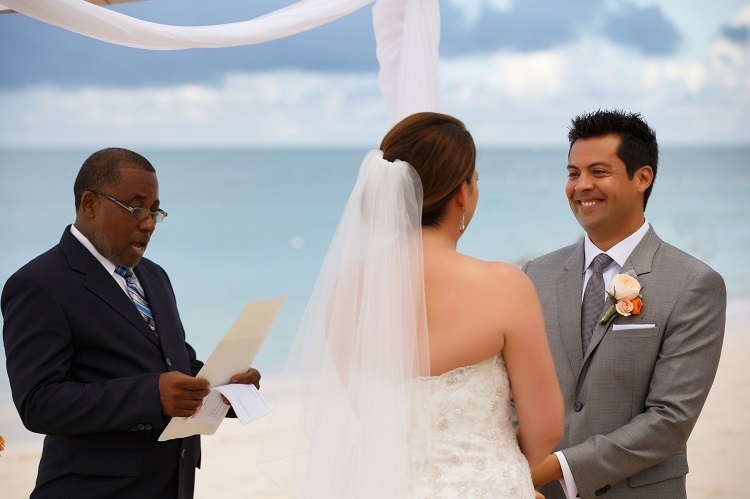 The resort offered great wedding packages and was the only beachfront dining option on the island. We also loved all of the other amenities that were available to our guests and the price point was something we were concerned about for everyone – the Alexandra was the perfect spot for us! I spent a lot of time on pinterest to get inspiration, so it came from a range of places. 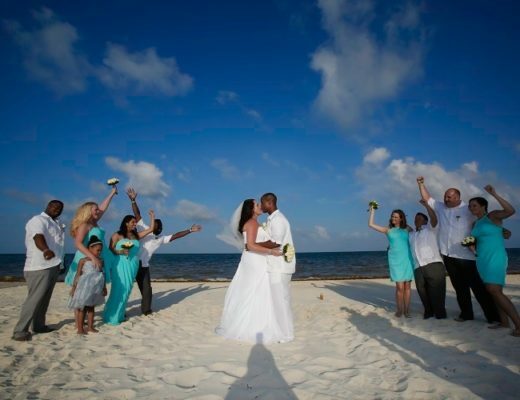 At the core of it all was that we wanted to be on the white sand and have the crystal blue water as our backdrop…the rest just fell into place! 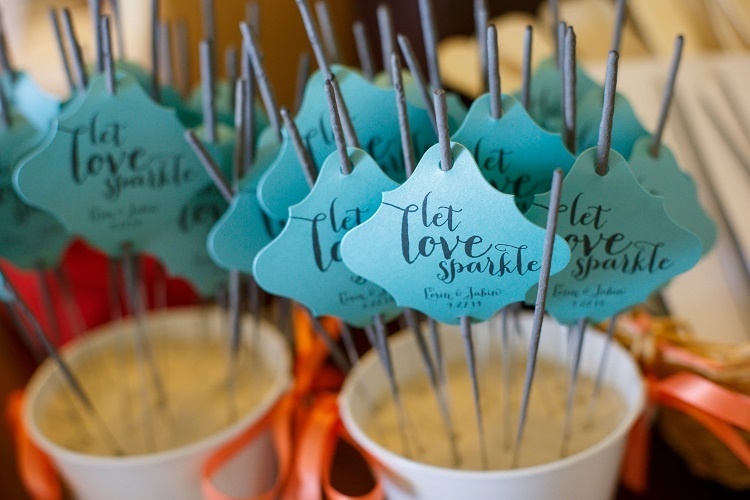 How did you personalize your wedding and ceremony? What were some of your favorite wedding day details? We had my best friend from high school read a poem – we knew we wanted a short ceremony that was meaningful and true to both of our personalities, so we spent a few days browsing the internet and eventually came across a poem called “He Never Leaves the Seat Up.” It made us both laugh and just really spoke to who we are as a couple so we added that for fun! I loved getting ready with my family – my mom, sister, cousin and daughter – we spent the day playing in our room and just enjoying each others company. My father passed away in 2012, so my Uncle David walked me down the aisle. We also recently lost my Aunt Melodie and Aunt Jo, so it was an emotional time for everyone. 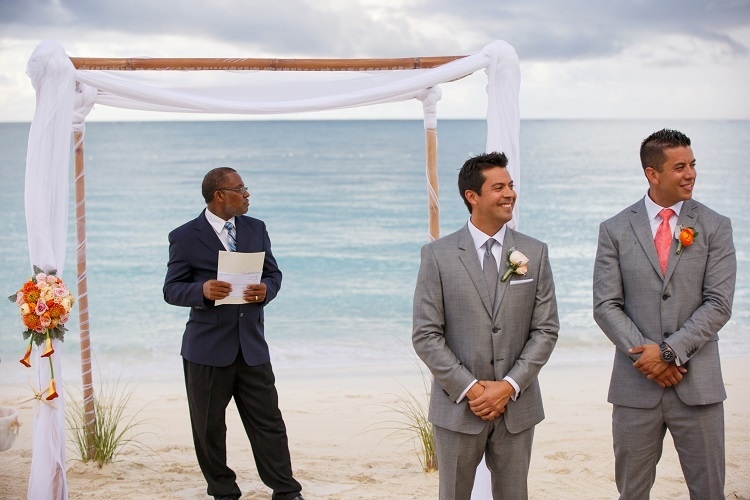 I walked down the aisle to “Somewhere Over the Rainbow” and there were three rainbows that came out just before I stepped on the sand…it was unreal, I mean three rainbows!?! Amazing moment that I will cherish forever! Did you have any DIY (do it yourself) details? I did a DIY photo booth – we bought a polaroid camera and a bunch of little film cartridges. I found some fun ideas for photo props on etsy and went to target to come up with everything myself. It made for some great memories! We also had my cousin create a “Leave a Message for the Bride and Groom”, message in a bottle table. She soaked paper in tea leaves and did such a great job making it look authentic. We plan to open the messages on our 1st anniversary. What would you say are some of your favorite wedding day memories? Were there any funny moments? 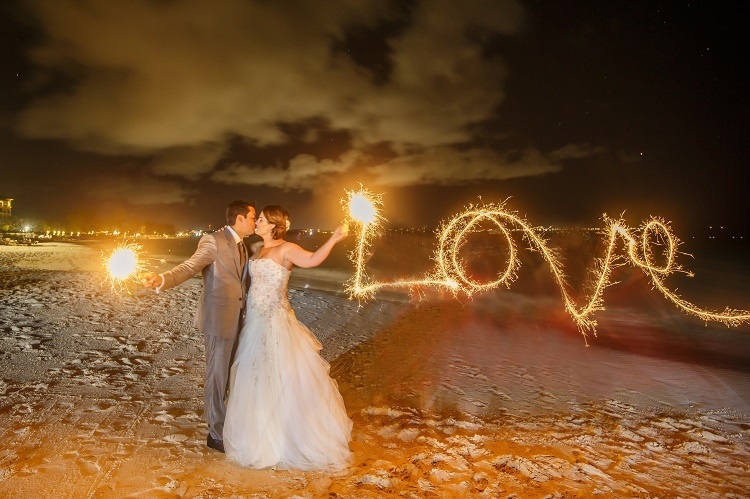 A few of my favorite moments was doing the “LOVE” sparklers on the beach – that was a MUST from my photo list and I found samples on Pinterest. We laughed so hard because it took so many takes before we got the perfect shot. 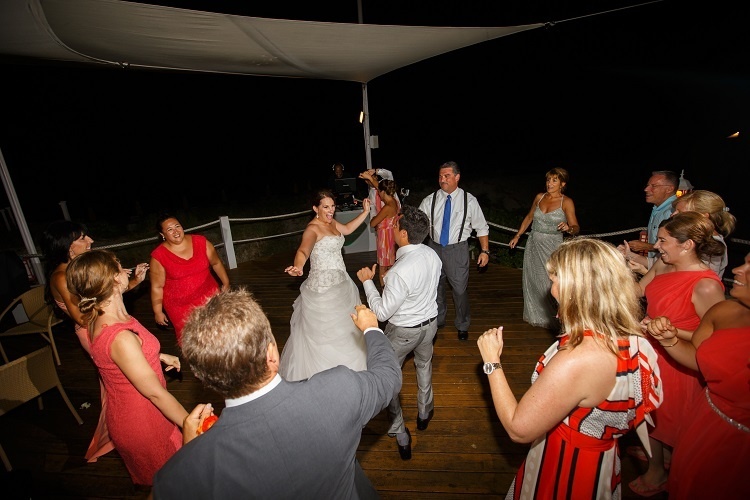 I also loved our first dance…we created a mix of Christina Perri’s “A Thousand Years” and Justin Timberlakes’ “My Love” and we worked on a choreographed dance for weeks! We were pretty impressed with ourselves and thought the guests would get a kick out of it. Only bummer was our friend forgot to film it, so now we don’t have it on video!! I brought in Cuban Crafters, the Turks & Caicos cigar shop to roll cigars towards the end of the night – the guests liked this little touch. We also took everyone on a snorkeling boat cruise the Friday before our ceremony, which was so much fun! Everyone had the best time and it was so much better than a normal rehearsal day! Ah – MA – ZING! If that isn’t quite what you were looking for then I would go with – Best Time Ever! We would love to go back to Turks & Caicos at some point, but I think for our one-year anniversary we would both love to go to Bora Bora! Reality is that will not happen and we will hopefully be lucky enough to get to another new and exciting destination as we both love to travel! 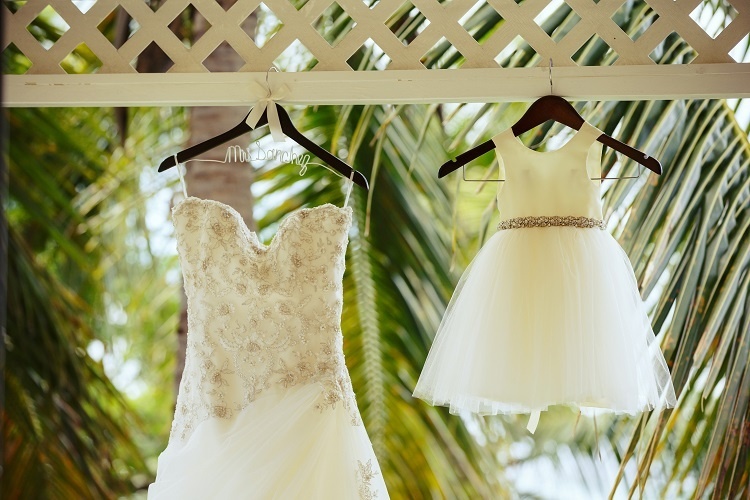 What advice would you give to future couples planning their destination wedding? 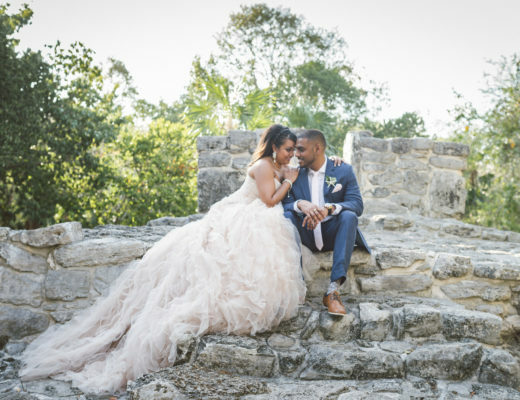 Don’t be afraid to use traditional wedding touches and plans at a destination wedding – I started out thinking it was going to be all about the beach and I was going to be in a dress that flows with the wind, and when I started trying on dresses I realized that was not my bridal style – I had to experiment and change up a few things to make it my own! I would also encourage them to take advantage of the resort and concierge team to assist with planning. They have great insight and ideas that can be helpful during the planning process – also don’t be afraid to ASK! I asked for everything while we were there since I was bringing in over 30 people to the resort and they were more than accommodating! 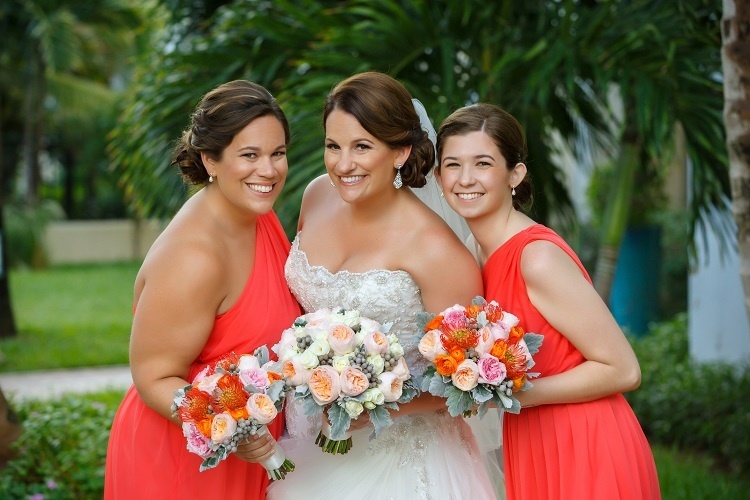 See more of Lorin & Jabin’s amazing wedding photos in Get Married Away! Did you get married with us and want to share your story? We’d love to hear from you! 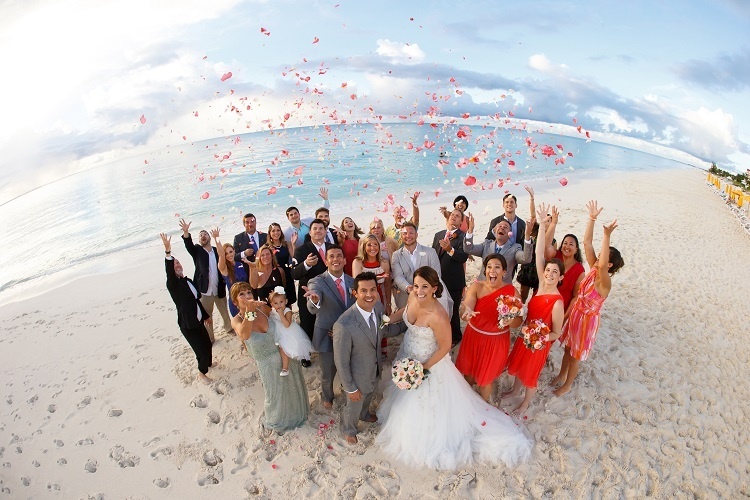 Simply email weddingstories@destinationweddings.com with a few photos and we’ll get back to you with the details!